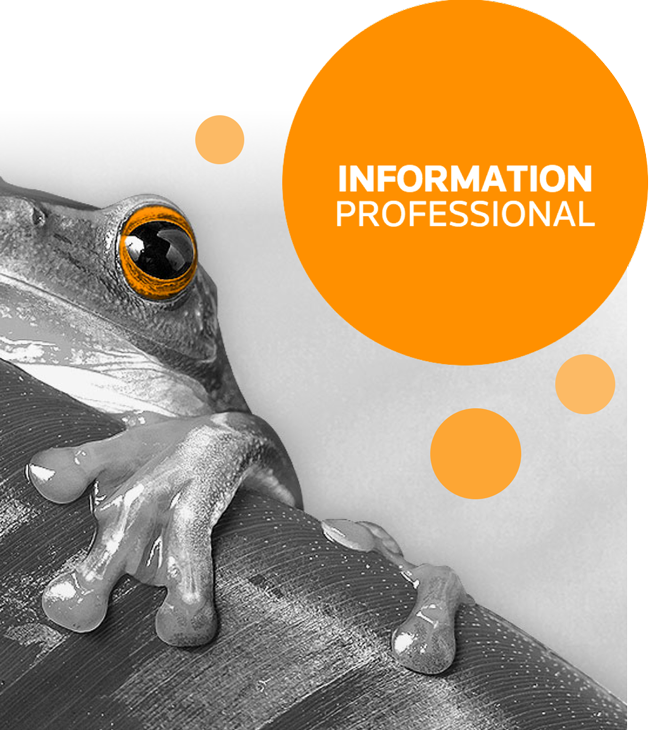 Thomson Reuters, the world's leading source of intelligent information for businesses and professionals, needed a series of digital sales solutions to drive education and sales to their B2B products. When the big guys wanted bold, they looked to us. 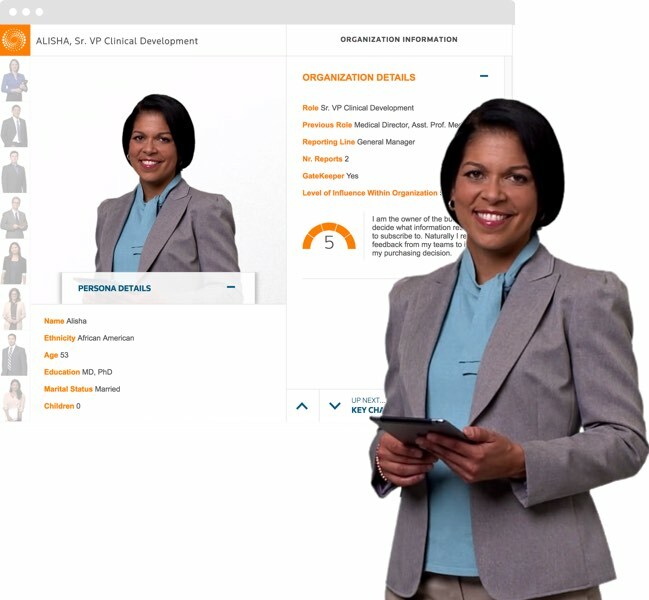 We teamed up with Thomson Reuters’ Life Sciences and IP Management business over the past few years to create various sales and marketing tools. From lead qualification microsites to a persona-based navigation app to aid executives and sales teams in better understanding their market, we’ve built several cutting-edge, elegant solutions for the information giant. For being a leader in the field, Thomson Reuters needed B2B sales tools to streamline their business development practice, and make it easier to generate new business. Potential customers were inundated with a disorganized set of information. We needed to simplify Thomson’s public-facing resources. Thomson’s intelligence products can be a bit esoteric. As we discovered, the user experience of exploring these solutions can feel like an endless journey down a rabbit hole of information with no end in sight. We needed to create more concise, compelling experiences that would engage, inform, and convert. The sign of something gone right is that there isn’t a trace of that sign. We had to work with, and not against, their sales team by creating solutions that fit and thus enhanced their existing sales processes and tech solutions. We also needed to integrate with their CRM and create solutions that could be refined over time. While bulk of the needed materials already existed, we needed to reinterpret the structure. To best do that, we studied and evaluated Thomson Reuter’s sales processes and decision trees for their internal products and business solutions to really define what their customer decision journeys were and could be. From there, we created intuitive and engaging user experiences that maintained Thomson’s high-level thinking but in an approachable, engaging way. Creating new pharmaceutical products takes a village of professionals many years to develop. Thomson’s Life Sciences solutions help to streamline that process. In one of our first projects with Thomson Reuters, we were tasked with creating a streamlined sales tool to better explain these products and services to potential customers. 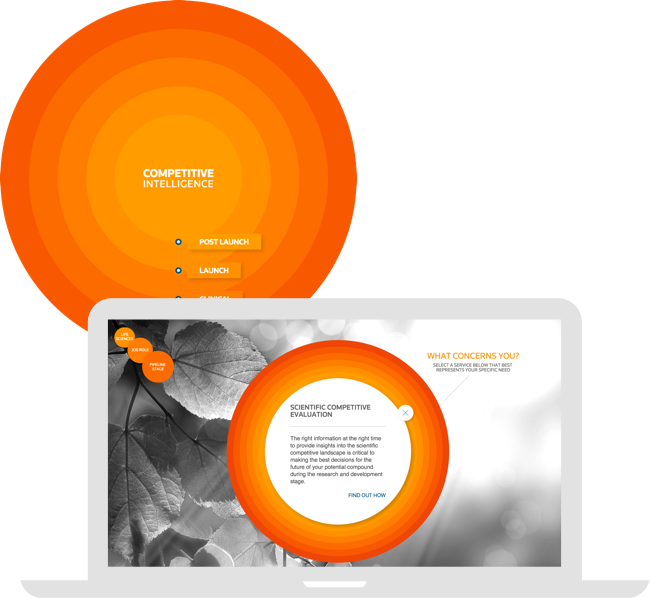 We created a microsite where users first identify a job role, then navigate a series of concentric circles that match development stage and need with a solution. As a sales tool, the interface was developed to be used both for in-person sales meetings as well as a marketing solution to drive leads. Intellectual asset management in product development is about as complicated as it sounds. Developing products that make it easier can be equally as complex and marketing those products even more so. So, after a successful engagement with Life Sciences, we were tapped to reenvision a sales tool for Thomson’s IP Manager. 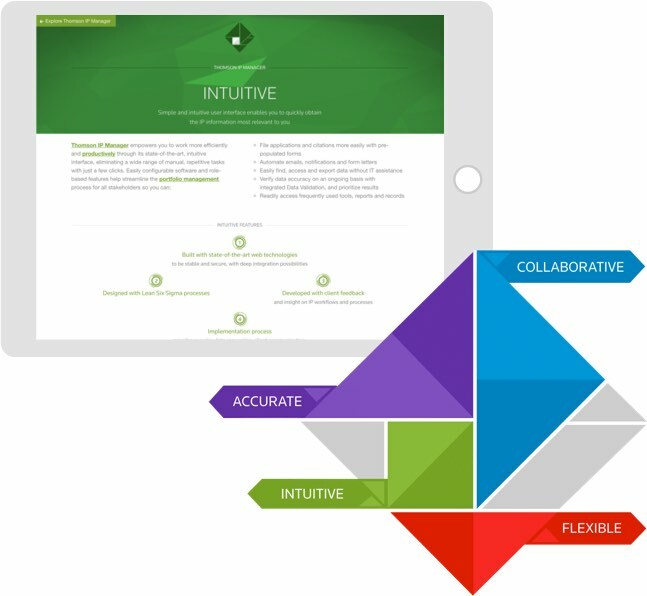 Just as the IP Manager product suite empowers its customers to build world class products, to better explain the power and efficacy of the solution, we created an experience where abstract shapes come together to literally build each page and serve as a metaphor to explain various IP Manager benefits. Our concept leverages cutting edge technology to create motion and transitional effects that engages users and compels them to convert. It’s important to understand who you’re selling to. The more qualitative information a salesperson has, the more quality the conversation will be. 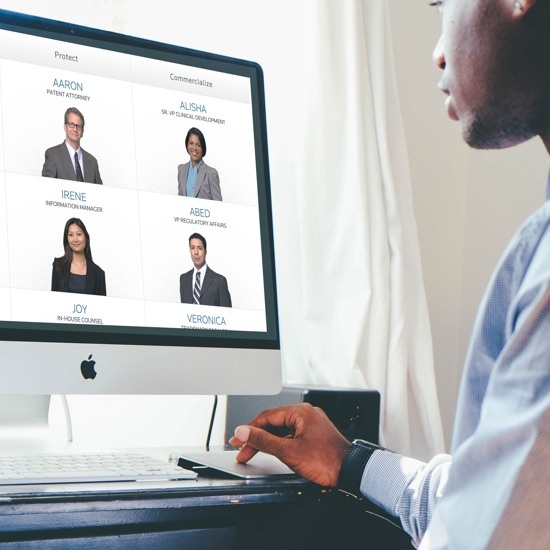 So, in an effort to provide sales teams with more information about the various “persona” archetypes that make up the bulk of prospective sales leads, we created a business development tool to be accessed anytime, anywhere. The Persona Explorer, which is optimized for tablets, provides a deep dive and insight about each persona through a series of data visualizations and humanizes these people by using video representations instead of a simple images. We worked closely with our counterparts at Thomson to define these personas and identify the personality traits and data points that were most important to closing deals. In the B2B market, complicated concepts can be difficult to understand or visualize. For Thomson, whose products deal with large streams of data, we can create value for users by making insights on data more readily available. Data visualization allows us to make more efficient and informative insights from large data sets quickly and concisely.